Toothache can be dangerous and in some cases, it may damage other teeth if left untreated for a long time. There is actually no cure immediately for a toothache and this makes your condition worse. There are antibiotics and painkillers available that can help lessen the pain but it gets back within a short time. Yet, taking antibiotics is the most effect way to cure the pain to your teeth permanently. It is still advised to see a dentist who will find out the root cause of the toothache and prescribe the right antibiotic dosage for your condition. If you are suffering from jaw pain or other kinds of dental pain, a trip to your dentist’s clinic is exactly what should be done in such a case. He may give you an antibiotic or inject a local anesthetic near the tooth to alleviate the pain. Your dental practitioner may also prescribe an antibiotic to ensure that the bacteria present in the tissues do not make a way into the blood vessels or attack patients with artificial heart valve thus, causing serious infections. Penicillin V – This antibiotic is an old version of penicillin. It is very effective and works well on certain bacteria associated with oral infections and leads to antibiotic resistance. 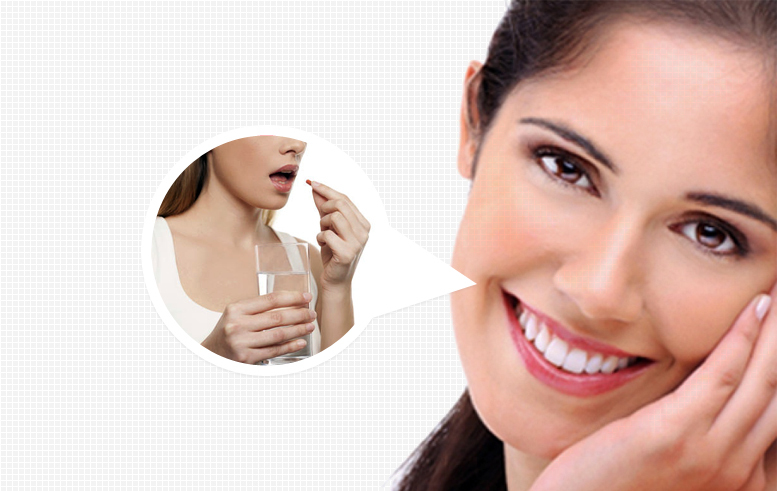 Penicillin V can help you in overcoming emergency toothache relief. Amoxicillin – It is an antibiotic that belongs to the family of penicillin. Amoxicillin is prescribed for treating various infections that are caused by bacteria. It can be absorbed easily when taken it in the form of a tablet and you have something to eat. Regular dosage of the antibiotic contains 1000-1500mg that is divided into 3 or 4 doses a day. Erythromycin – Erythromycin is usually prescribed to individuals who have an allergic reaction to penicillin. Erythromycin belongs to the group of drugs known as macrolide antibiotics. The dentist may prescribe it for the treatment of dental abscesses, pericoronitis or infections around wisdom teeth and infections that develop after the surgery. The dosage of this antibiotic is almost 250 to 500 milligrams in every 6 hours for the adults. It needs to be continued for 7 to 10 days. On the other amount, the exact amount of dosage will depend on the body weight in case of children. Clamoxyl – This is another antibiotic prescribed by the dentists if you are suffering from sudden toothache. It is made by combining together amoxicillin and clavulanic acid. It is highly resistant to breakdown due to some kind of bacteria which makes the medicine a good choice. Metronidazole – It is popularly known as Flagyl in many countries. It is very effective for some bacteria that may lead to gum disease. When taking this antibiotic, it is advised not to take alcohol since this may be the reason for your stomach upset. You may visit a local emergency dentist where the dental experts can help you lessen your toothache and get emergency dental treatment for your oral problems.